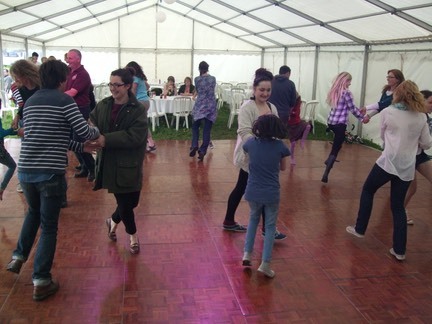 Life Of Riley was lucky enough to play for a ceilidh at a Birthday bash for�Snow Business at Stonehouse. 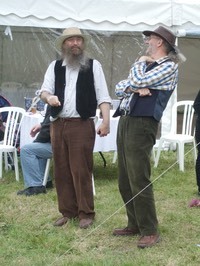 It was especially pleasant for us as it gave us chance to play with our new part time fiddle player, Jack Brothwell. He's also a very handy fellow on accordion, kilted Scottish pipes & other instruments too numerous to mention (So I Won't). I expect he's good at making soup, too! Other memorable events in May for us were Maggie Walters' Birthday Ceilidh at English Bicknor Village Hall, The Bishopswood Flower Festival & a walk in The Bluebell Wood (See blogs below).